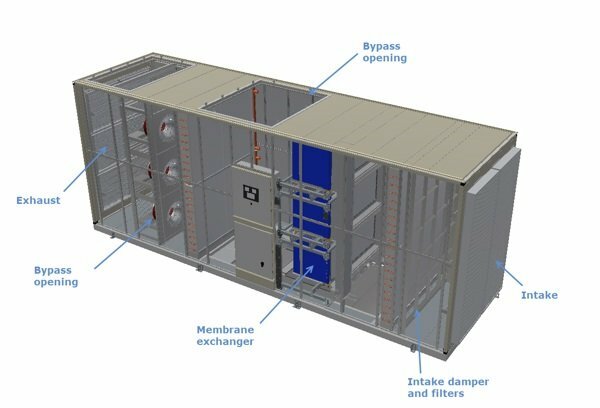 Facebook has said it will use the StatePoint liquid cooling (SPLC) technology, developed by Nortek Air Solutions, in the expansion of its data center in Clonee, Ireland. The technique, which uses a liquid-to-air membrane exchanger to improve the performance of evaporative cooling, was previously announced as part of a ten story data center Facebook is building in Singapore. In March, Facebook announced plans to double the size of its Clonee facility, from 86,000 to 150,000 square meters by adding two new data halls. 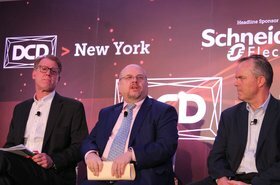 Nortek told DCD about the deployment of SPLC in Ireland, at the DCD>New York event in April. 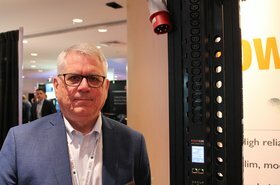 The deployment in Dublin is interesting, as it extends the SPLC technique to a much cooler climate than Singapore, Nortek VP of sales Kris Holla told DCD: "In 99 percent of Europe, you the can use this technology. You don't need any DX cooling, so there's no comparison. Compared to traditional evaporative cooling we can offer 90 percent savings in water usage in Dublin and other cooler climates. Water is a scarce commodity." The technique also saves up to 20 percent in energy consumption, claimed Holla: "because it doesn't use any compressors under peak load." The system uses water as the primary coolant instead of air, according to information from Nortek and Facebook. The water is cooled indirectly by outside air, and then this chilled water can be used in various ways to cool IT equipment, from a fan wall supplying air to a cold aisle, to in-row, rear-door or direct-to-chip systems which bring the water cooling closer to the heat source. Unlike other indirect chilled water cooling systems, SPLC can integrate evaporative cooling efficiently, says Nortek, thanks to a membrane which can allows some water to evaporate from the water system through membrane pores when it is operating in "super-evaporative" mode. The membrane keeps the water and air streams separate and reduces loss of water. 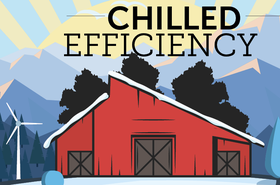 The system operates in three modes: at low temperatures, it simply chills the water with outside air. If temperatures rise somewhat, it shifts to adiabatic mode, where a heat exchanger cools the warm outside air before use. In hot and humid conditions, such as Singapore, the super-evaporative mode activates a pre-cooling coil. The StatePoint system, with its circulating, water works well in dense multi-story buildings, Holla told DCD: "The Singapore installation, at ten stories, is will be the largest data center in the country, and will be a 150MW facility. The membrane exchange is packaged in such a way that we can get very high kilowatts in a very small volume." Nortek and Facebook have been working together on cooling since 2015, and announced SPLC in 2018. It is available to other customers, but none have been announced as yet.